Never has the human rights discourse been so ubiquitous and so contested at the same time. 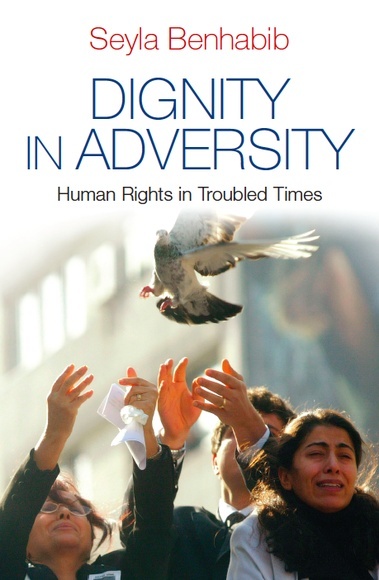 Never has the international human rights regime been so elaborated and so undermined by new discourses and practices emerging in a global order in transition. From human rights violation justified through claims to cultural relativism, restrictive human rights policies based on the principle of state sovereignty, and abuse of human rights discourse to justify military interventionism, it is the very moral and philosophical foundation of the human rights cosmopolitan project that seems to be wavering. Looking beyond the apparent tension between universalism, cultural diversity and state sovereignty, Seyla Benhabib provides us with a rich and complex web of conceptual approaches to see through the global political challenges of our times. Rejecting the fetishization of cultures as ahistorical holistic worldviews, Benhabib insists on the force of “communicative freedom” which enables peoples to interpret and articulate the universal in concrete contexts of self-governing polities through what she calls “democratic iterations”. She firmly believes in the often underrated “jurisgenerative power” of human rights norms which empowers new actors across borders by creating new vocabularies for claimmaking and new channels for mobilization and therefore calls for new forms of democratic participation through transnational discursive communities to accommodate the increasing uncoupling of territoriality, sovereignty, and citizenship. Produced as a collection of essays written between 2006 and 2012, the book offers a comprehensive presentation of Benhabib’s main philosophical works, which makes it dense reading. With a “cosmopolitanism without illusion” as a normative agenda, one might regret that so little empirical ground is provided to support the author’s pleasantly bold thinking, and that, her own cultural background put aside, there is no encounter with nonwestern classical and modern thought in her otherwise balanced and culturally sensitive analysis.